Facebook's effort to establish a service that provides its users with local news and information is being hindered by the lack of outlets where the company's technicians can find original reporting. The service, launched last year, is currently available in some 400 cities in the United States. But the social media giant said it has found that 40 percent of Americans live in places where there weren't enough local news stories to support it. The Facebook service, called "Today In ," collects news stories from various local outlets, along with government and community groups. The company deems a community unsuitable for "Today In" if it cannot find a single day in a month with at least five news items available to share. There's not a wide geographical disparity. 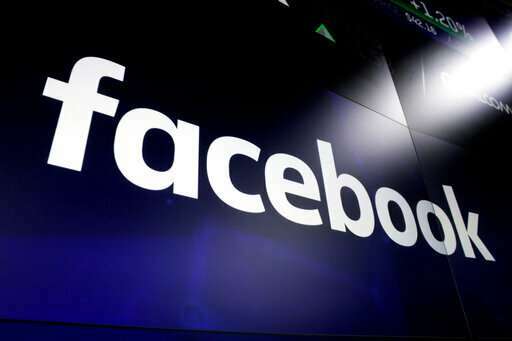 For example, the percentage of news deserts is higher in the Northeast and Midwest, at 43 percent, Facebook said. In the South and West, the figure is 38 percent. "It affirms the fact that we have a real lack of original local reporting," said Penelope Muse Abernathy, a University of North Carolina professor who studies the topic. She said she hopes the data helps pinpoint areas where the need is greatest, eventually leading to some ideas for solutions. Facebook doesn't necessarily have the answers. "Everyone can learn from working together," said Anne Kornblut, director of news initiatives at the company. The company doesn't plan to launch newsgathering efforts of its own, Kornblut said. "Our history has been—and we will probably stick to it—to let journalists do what they do well and let us support them and let them do their work," she said.